Transportation officials have a request for North Texans ahead of freezing temperatures this weekend — turn off your lawn sprinklers. A cold front arrives late Saturday into Sunday morning, bringing temperatures into the lower 20s Sunday and early next week. 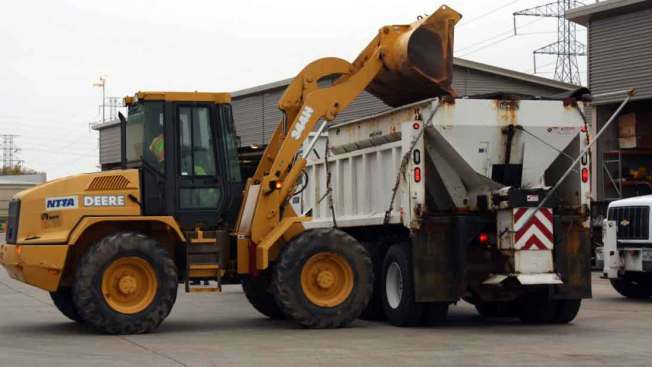 Maintenance crews will be in force patrolling NTTA-managed roads for pockets of ice. And sprinkler systems don't mix well with sub-freezing temperatures. "Residents and business owners should check to make sure automatic sprinklers are disabled ahead of cold weather to help keep roads safe for drivers," NTTA said in a press announcement Thursday. NTTA owns and operates the Dallas North Tollway, President George Bush Turnpike, Sam Rayburn Tollway, Addison Airport Toll Tunnel, Lewisville Lake Toll Bridge, Mountain Creek Lake Bridge and Chisholm Trail Parkway.